The Summer Season is in full swing and it is time to start making plans for your Summer Mountain Escape! Whether you plan on joining us for Independence Day festivities, A ‘Farewell to Summer’ Labor Day Getaway or any of the spectacular weeks in between, Big Bear Lake has more activities, special events and things to do than anywhere else in Southern California! We have a Lake full of water activities, a National Forest with hundreds of miles of hiking/biking trails, Tours by Boat, 4×4, Helicopter, Segway, Kayak, or on foot, Live Concerts, Plays, Fireworks, Nightlife, The Village for shopping and dining, Fishing Tournaments, Old Miner’s Days, Film Festivals, Ropes Courses, Zipline, Art Shows, Wine Walks and SO MUCH MORE!! Please let RS Vacations provide you with the perfect cabin for your Big Bear Escape. We offer clean, comfortable cabins with the very best amenities and we pride ourselves on EXCEPTIONAL CUSTOMER SERVICE! You will not be disappointed! Check out our cabin selection at RSVacations.net. Please call or email us if you have any questions. Book today! Join a Discovery Center naturalist to explore how the forest changes as the sun goes down. Meet at Serrano Campground kiosk. Hikes are not strenuous and designed for all skill levels. Qi Gong Health & Fitness Retreat with World Champion Master Instructor Anthony von Sager. Qi Gong – Health & Fitness Retreat with World Champion – Master Instructor, Anthony von Sager. Qi Gong -Tai Chi, Meditation, Fitness Classes, Yoga, Self-Defense, Hiking, Biking, Sailing, Village SPA and more. Please call for more details. Enter to catch a tagged trout worth $50,000 plus many more prizes and raffles. Prizes for the remaining 14 tagged trout caught are eligible for a cash prize of $150 per tagged trout. “Weigh in Your Trout” contest awards cash prizes for biggest trout caught in adult M/F and child M/F categories. Stay at a Big Bear Visitors Bureau lodge and pay only a $15 entry fee per person (based on lodging occupancy). Rent a pontoon boat at a participating marina in Big Bear Lake and receive up to four FREE entries! FREE Pautzke Fire Bait for all anglers. An awards ceremony takes place Sunday, June 8, 2014 at 3 p.m. in the Big Bear Visitor Center parking lot located at 630 Bartlett Road (in the Village). The awards ceremony includes a general raffle with thousands of dollars worth of fishing gear, bait and tackle from national manufacturers. To register for Fishin’ for $50K or to book your lodging or pontoon, log onto www.bigbear.com or call (800) 424-4232. Learn how to get involved in the world wide scavenger hunt known as geocaching. You will learn how to navigate online to find caches, how to use a GPS unit to locate caches, and learn about environmental ethics associated with the sport. No experience necessary, all tools provided. Class limited to 15 people. Please call to sign-up (909) 866-3437. Baldwin Lake Ecological Reserve is a wonderful spot for wildflower viewing! Stop by and get information about what’s in bloom and get a chance to see the amazing pebble plain flowers found only in the Big Bear Valley! Stroll on your own, or take a tour. For more information call (909) 484-0617 or (909) 855-3437. Location: Baldwin Lake Ecological Reserve at Highway 18 at Holcomb Valley Rd. Short description about event: Come learn how to pan for gold! Children will lean the process of gold panning using real panning equipment. The “gold” is pyrite, and children can take home their findings along with an informational handout and certificate! The Village Business Association (VBA) of Big Bear Lake hosts its annual Summer Wine Walk on Saturday, June 7, 2014 from 3:30 pm to 7:00 pm in the downtown Big Bear Lake Village shopping district. The merchant organized event will showcase fine wines from around the world and the Village’s unique businesses, with a portion of the proceeds to be donated to Big Bear Valley Education Trust, Christmas in the Village and numerous other events for the community. Presale tickets for the Village Summer Wine Walk cost $30 if purchased before May 27th and will be $40 after the 27th, if any are available. Tickets can be purchased online at www.bigbearlakevillage.com or www.bigbear.com and at The UPS Store. The Wine Walk will begin at 3:30 and end at 7:00 p.m., shortly followed by a raffle prize drawing for event attendees. Wine Walk participants must be at least 21 years old. Ticketholders receive a map of participating businesses, a commemorative wine glass, 12 wine tasting tickets and a wristband at check-in. Guest check-in will begin at 2:30 p.m. on the corner of Pine Knot Avenue and Village Drive and across from the Bartlett Street parking lot. Join us for a night of laughter as The Cave presents comedians Derrik Murry, Jodi Miller, Josh Nasar, Karmel Humphries and Sam Ridley. The Cave is a new, intimate music venue with state of the art sound and lighting that promises to bring you up close and personal with its performers. Doors open at 6pm Concert starts at 8pm. Call or visit website for ticket information. Starting at the water’s edge of Big Bear Lake, the Holcomb Valley Trail Run brings runners deep into the heart of the most scenic area in Big Bear, Holcomb Valley. Breathtaking views of the San Gorgonio Wilderness Area, Big Bear Lake, and the surrounding valley can be seen from the miles of single track running along the Pacific Crest Trail. The Holcomb Valley Trail Run offers three separate distances: a 33-mile race, a 15-mile race, and a 7-mile race. Sections of the Pacific Crest Trail are part of each race course. This is some of the best trail running in Southern California; so sign up early, the race has sold out the past 4 years. The editors of the Friends of the Big Bear Alpine Zoo 2015 Calendar invite all photographers to enter the 2014 Calendar Contest. Entries will be professionally judged on technical quality, originality, and artistic merit. You may enter a total of 10 images taken in the Big Bear Alpine Zoo any time between January 1, 2014 and July 30, 2014. 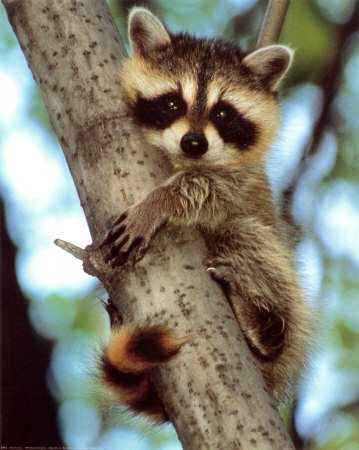 June 14 will be a special photo op of the animals, though participants do not need to be present that day to enter. There will be 4 photography groups: Professional, Intermediate, Amateur and Youth (under 18 years). Winners will be published in a professionally designed 15 month calendar. All entrants will be mailed a free copy of the 2015 calendar. Bluebirds will love your yard with this well designed birdhouse that you can build! We will provide kits for individuals or families to build together during this 2-hour program sponsored by Butcher’s Block. Class limited to 20 people, first come first served. The Big Bear parade is the longest running community event in the Valley and has brought residents and visitors together to celebrate the heritage of the Big Bear Valley and honor members of our community and the Nation’s military. This year, Old Miners and the Village Business Association bring this traditional event back to the Village, the Heart of Big Bear. The 2014 theme “From Wagon Wheels to Smart Automobiles – Paving the Way to a Sustainable Future” honors the history of the Valley and creates a forum for the community to express its vision for a sustainable future. More information on all pre and post-parade activities is available on www.oldminers.org. Miss Clementine & Lucky Baldwin Scholarship Pageant will take place at the Cave directly after the Big Bear Old Miners Heritage Parade. More details to be announced soon. Please call or visit website in the meantime. The 9th Annual Big Bear Lake Jazz Trax Summer Music Festival takes place Lakeside at the Marina Resort. Lineup and schedule is as follows. C.A.T.S. (The Community Arts Theater Society) brings their summer musical, The Wizard of OZ to the Big Bear Performing Arts Center for 12 performances: June 20, 21, 25, 27, 28, 30, July 2, 3, & 5 at 7:30 p.m. and matinee performances on June 22, 29 and July 6 at 1:30 p.m. The classic movie The Wizard of OZ is celebrating its 75th anniversary this year. With music and script based on the movie, and featuring all the familiar characters, it’s sure to be a family favorite! The Oscar winning musical score features such wonderful songs as Over the Rainbow, Follow the Yellow Bring Road and Ding Dong the Witch is Dead. Tickets for all events will be available through the C.A.T.S. web site at www.bigbeartheater.org. Tickets can also be purchased through the PAC Box Office at 909-866-4970. Corvettes West’s Big Bear Bash 2014 takes place this year from June 27th until June 29th. Lots of great Vettes’ to check out and admission to public events is FREE to all. Main event for public viewing of cars is the Participants Choice Car Show at the Marina Resort on Friday June 27th from 11:00 am to 1:00 pm. Other events include a Low Speed Autocross at the Big Bear Airport on Saturday June 28th at 8:30 am and a Corvette Caravan Around the Lake on Saturday afternoon. The Big Bear Triathlon is back for our Sophomore year!! Join us in the scenic San Bernardino National Forest and challenge your triathlon skills at 7,000′. We will be hosting two distances for this event, Sprint and Olympic. While the rest of Southern California is heating up we are just getting perfect with an average June temperature of 76 degrees. 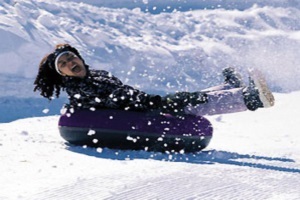 Get ready for your season with this high altitude event and enjoy all that the Big Bear Valley has to offer. Olympic Triathlon to start at 7:30 AM and Sprint Triathlon at 8:00 AM. Registration pickup and athlete check-in will begin on Friday June 27th at 1PM. Martha Davis & The Motels at the Cave. The first in the series are co-headliners, The Long Run, Experience The Eagles and Kenny Cetera’s Chicago Experience. The Big Bear Discovery Center is one of Southern California’s favorite concert venues. Enjoy an intimate, casual and fun outdoor concert experience at 7,000′ on the mountaintop of the San Bernardino Mountains! With your support, we’ll rock the mountains and raise money for nonprofit programming at The Discovery Center. The Discovery Center serves over 190,000 visitors annually, educates students and youth groups in and out of the classroom, and supports our restoration and trail-building initiatives! Free shuttle is available from 5 p.m. – 10 p.m. from Meadows Edge parking area. Tickets: $30 General admission. $45 bench seat with parking. Teens (13-18); $10 general admission; all events 12 & under are admitted FREE for general admission seating only. Music loving pets on leash always welcome and admitted FREE. General admission tickets valid in open and casual seating areas only. SEASON PASS SPECIAL PACKAGE RATE; $115 ADULT (18+) Get your parking FREE! For more details please visit website. The Palm Springs International Film Festival presents “One World” a FREE Screening of International Films at the Wine Room at Wolf Creek. Fine wine and drinks will be available as well as finger food. Join us for ONE WORLD, an engaging program of short films that brings into focus the lives and cultures of the vastly different, yet amazingly similar people with whom we share the planet. ONE WORLD is an interactive, eye-opening event guaranteed to get you talking. Each of these FREE presentations is followed by a lively guided discussion about the films you’ve just seen, how they reflect our shared experiences and their transformative power. ONE WORLD is appropriate for ages 16 and up. THERE IS ONLY ONE WORLD.Find out more about who’s sharing it with you and you may learn more about yourself. Admission: Adults $17-$29; Seniors $16-$27; Children (under 18) $11-$20Tickets for all events will be available through the C.A.T.S. web site at www.bigbeartheater.org. Tickets can also be purchased through the PAC Box Office at 909-866-4970. Live Reggae music, bring your picnic and BBQs or buy your picnic from Tropical BBQ (Hawaiian BBQ). Huge beach so bring your chairs, beach blankets and umbrellas to get your spot early. View the Big Bear Lake Rotary fireworks from Captain John’s. Rentals start at 7 a.m. Parking fee. Call for more info. The 28th Annual Big Bear Lake Independence Day Festival and Craft Show with Unique One-of-a-Kind Items, Family Fun Activities, Live Entertainment, Patio Dining, and Wyatt’s serving Full Menu & Full Service Bar. For more info please visit website or call. The Big Bear Summer Artwalk takes place July 4-6 in the heart of the Big Bear Village. The newly renovated Village and the new Bartlett Events Center will be ready for this year’s Events starting in July with the 2014 Big Bear Lake Artwalk Festival! Make plans to experience the Artwalk Festival, meet the Artists and enjoy the day supporting the Arts in Beautiful Big Bear Lake, SoCal’s Leisure Travel and Getaway Destination! Cruise launches at 8 p.m. and returns approximately at 10 p.m. Cruise includes a non-alcoholic drink ticket, light hors d’oeuvres. Beer, wine, soft drinks and assorted snacks available for purchase in the cash only galley. Admission: Adults $80; Children (12 and under) $40. For more information and reservations call the Pine Knot Marina office during business hours. The 73rd Big Bear Women’s Club Flower Show at The Performing Arts Center. The 7th Annual Big Bear PaddleFest at Swim Beach at Meadow Park on the South Shore of Big Bear Lake. Big Bear PaddleFest is a Festival of Races for Kayaks, Canoes, and Stand Up Paddleboards on Big Bear Lake, hosted by North Shore Trading Company. Spectators can demo kayaks and SUPs as well as visit the festival site which will have music, food, sports vendors and much more. For complete schedule please go to www.bigbearpaddlefest.com. Location: Bartlett Lot in The Village of Big Bear Lake at 630 Bartlett Rd. It is a family affair at this year’s annual Bear Country Fair held at the Big Bear Alpine Zoo, where there is something for everyone including an animal feeding tour following the fair activities. Enjoy country fair activities for the whole family. Includes face painting, jewelry making, bear toss, and bear roaring contest. Also pie eating contest between our 3 black bears–who eats their pie the fastest? Call (909)878-4200 for more information or visit our website. Big Bear Valley’s newest sport returns in the 4th Annual Old Miners’ Outhouse Race on Cottage Lane at Bartlett Lot. Times TBA. Come to the Calcutta Luncheon & Outhouse Auction during the Big Bear Chili Cookoff and bid on the fastest People-Powered-Potty in the West! The person who buys the winning race team splits the pot of dough with the winning team and the Old Miners’ Association. Cast your vote for the best decorated Outhouse and Team costume. Watch teams push an outhouse along a designated race track. The winning teams will receive a cash prize, a coveted trophy and a complimentary entrance fee for next year’s race. FREE for all to watch. $50 Team Entry Fee. “Berlin” Featuring Terri Nunn at the Cave. For fans of electronic music – and the far-reaching wave of style and pop culture that followed in the wake of the 80s – Berlin vocalist Terri Nunn is an icon. Still performing and recording more than 20 years after the release of the groundbreaking debut, Pleasure Victim, Terri and Berlin are currently touring in support of 4Play, the group’s impressive 10th release. An eclectic and ambitious album, 4Play is comprised of new material along with both electronic and alternative rock covers from a first rate selection of artists – David Bowie, Depeche Mode and industrial-Goth icon Marilyn Manson, to name a few. Old Miners 2014 ends with a bang with their annual Doo Dah Parade in Fawnskin. New events this year include a Mountain Bike Ride n’ Tide Race, The Fawnskin Moose Festival and the Loggers & Miners Jubilee. Fun for all. Join the Friends of The Masons for and all-you-can-eat breakfast plus Saturday morning cartoons and a Big Bear History show. Masonic Child ID Program will be available free during breakfast. The menu includes eggs, sausage, bacon, pancakes, potatoes, biscuits and gravy, coffee, orange juice and all the trimmings. Special thanks to Grizzly Manor Café for donating all the food. So treat yourself and your family, and assist the Masonic Lodge in its fund raising efforts. Other dates for the Big Breakfasts are July 19 August 16 and September 20. The 12th annual Xeriscape Garden Tour sponsored by the Sierra Club Big Bear group is set to take place on Saturday, July 19th. Participants can begin the FREE self-guided tour anytime between 9 am and noon starting at Eminger’s Mountain Nursery, located at 41223 Big Bear Blvd. in Big Bear Lake, across the street from the Denny’s Restaurant. Once registered, participants will have until 4:00 pm to complete the driving tour of the homes in Big Bear Valley. To see pictures of last year’s gardens, go online to: www.sierraclubbigbeargroup.org and scroll down to the bottom where you will find links to several digital photo albums of past tours. $30 General admission. $40-45 bench seat with parking. Teens (13-18); $10 general admission; all events 12 & under are admitted FREE for general admission seating only. Music loving pets on leash always welcome and admitted FREE. General admission tickets valid in open and casual seating areas only. SEASON PASS SPECIAL PACKAGE RATE; $115 ADULT (18+) For more details please visit website. Bear Valley Bikes and Open Air Big Bear present the inaugural Big Bear Mountain Bike Gran Fondo and Grizzly 100 in Big Bear Lake California. he 20k allows intermediate riders to take the Snow Summit Sky Chair to the ridgeline to begin their ride, while other rides begin in the Village and may include 3,500 to as much as 10,000 feet of climbing. Big Bear Valley celebrates the 10th Annual “National Day of the Cowboy” with “Spirits of the West” Brewsfest. The Brewsfest is a family event. Enjoy live music all day and an evening concert with the Doo Wah Riders performing. Family activities will go on all day with games, contests and over 40 different brews & spirits to taste. There are tastings for kids too with root beer, sarsaparilla and birch beer. Contact: Tel: (909) 866-8467 Website: www.openairbigbear.com. In addition to the listed events, I just thought I’d mention that we are expecting snow later this week and colder snowmaking temps after that, so it is POSSIBLE that Big Bear Ski Resorts could be opening for Thanksgiving! Stay Tuned!! 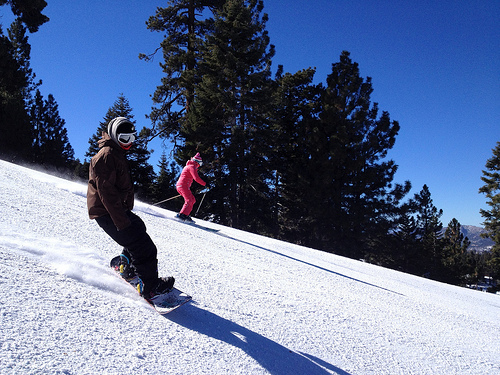 Big Bear Snow Play is already open daily. Haven’t booked a cabin yet? Not to worry! 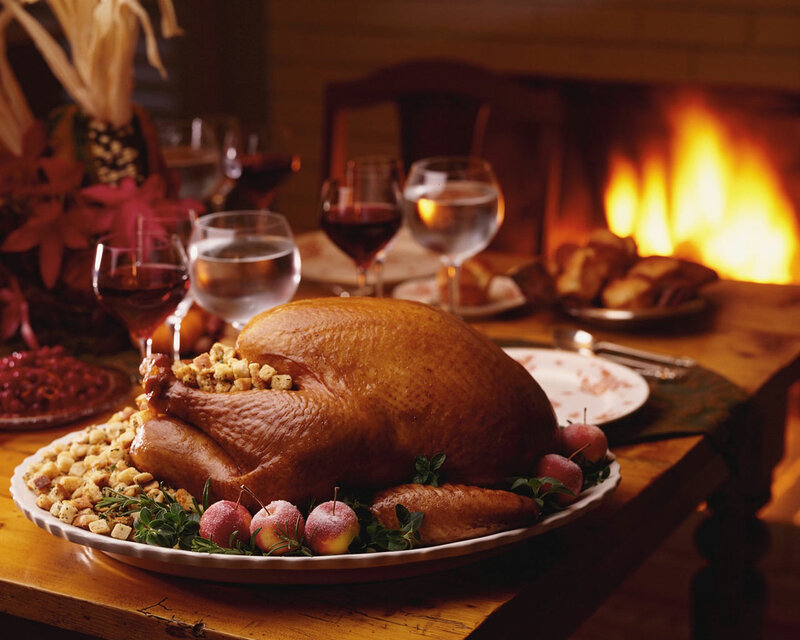 We still have a few cabins available for Thanksgiving in Big Bear and we have some great, last-minute deals! Visit us at RSVacations.net and book your Big Bear Cabin today!! Lunch Menu: 11 am – 3 pm, Buffet; Ages 5-12, $14.95; Ages 13+, $34.95. Dinner Menu: 5 pm- 9 pm, Turkey, Prime Rib or Halibut; $28.95 + Childs Menu. New event this year on Thanksgiving Day! Bring the family to this 3, 6, 9 mile run with plenty of activities including a Pie Eating Contest! Time: November 29, 2013 from 4:30 p.m. Dates & Times: Saturday & Sundays, November 30 – December 22, 2013, 10 a.m. – 4 p.m.
C.A.T.S. presents their annual Christmas show with their stage adaptation of the musical “Screwge of Starvation Flats, A Big Bear Christmas Carol” at the Big Bear Lake Performing Arts Center. For details and ticket information please call (909) 866-4970 or visit website. Price: Adults, $16-$28; Seniors, $15-$26; Kids under age of 18, $9-$19. Dates & Times: November 29-30, 2013, 10 a.m. – 5 p.m.; December 1, 2013, 10 a.m. – 3 p.m.